President Barack Obama said Friday he will replace retiring Supreme Court Justice David Souter with someone who shares the president's respect for "constitutional values" and hopes to have "him or her" seated on the highest U.S. court by the start of its next term in October. The departure of Souter, part of the court's liberal wing, is unlikely to change the ideological balance of a court that became more conservative during George W. Bush's presidency. Mr. Obama's first pick is likely to be a liberal-leaning nominee. In a dramatic flourish, Mr. Obama interrupted spokesman Robert Gibbs' daily press briefing to announce that he had just talked to Souter. The news of Souter's planned retirement had broken by then, but the White House had said nothing until the president came in. Mr. Obama thanked Souter for his dedicated service, and quickly looked ahead to the nomination of a replacement. "As I make this decision," Mr. Obama said, "I intend to consult with members of both parties, across the political spectrum. And it is my hope that we can swear in our new Supreme Court justice in time for him or her to be seated by the first Monday in October." 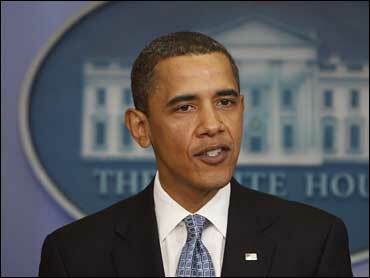 Souter informed Mr. Obama of his plans in a brief letter Friday. Mr. Obama praised Souter, who is leaving after nearly two decades in Washington. His retirement gives Obama his first pick for the Supreme Court three months into office. "It's not a terrible shock that Souter would be leaving. He has perennially be one of the names listed when folks think about potential retirements," said CBS News legal affairs analyst Andrew Cohen. The vacancy could lead to another woman on the bench to join Justice Ruth Bader Ginsburg, currently the court's only female justice. At 69, Souter is much younger than either Ginsburg, 76, or Justice John Paul Stevens, 89, the other two liberal justices whose names have been mentioned as possible retirees. Yet those justices have given no indication they intend to retire soon and Ginsburg said she plans to serve into her 80s, despite her recent surgery for pancreatic cancer. In Philadelphia, Sen. Arlen Specter said he would like to see more ethnic and gender diversity on the high court. "I think that, given the proportion of women in our society, that one out of nine is underrepresented," said Specter, a recent convert to the Democratic Party. "The court could use some diversity along a number of lines," he added, mentioning African-Americans and Hispanics. Immediately, speculation has swirled over his possible replacements. Interest groups immediately began gearing up. "Obama's own record and rhetoric make clear that he will seek left-wing judicial activists who will indulge their passions, not justices who will make their rulings with dispassion," said Ed Whelan, president of the conservative Ethics and Public Policy Center. Nan Aron, president of the liberal Alliance for Justice, said, "We're looking for President Obama to choose an eminently qualified candidate who is committed to the core constitutional values, who is committed to justice for all and not just a few,"
Some of the names that have been circulating include recently confirmed Solicitor General Elena Kagan; U.S. Appeals Court Judges Sonya Sotomayor, Kim McLane Wardlaw, Sandra Lea Lynch and Diane Pamela Wood; and Leah Ward Sears, chief justice of the Georgia Supreme Court. Men who have been mentioned as potential nominees include Massachusetts Gov. Deval Patrick, Harvard Law professor Cass Sunstein and U.S. District Judge Ruben Castillo of Chicago. Sotomayor, a federal appeals court judge in New York, would also be the first Hispanic on the Court as would as would Wardlaw, a California-based appeals judge, reports CBS News senior political correspondent Jeff Greenfield. If that's where Obama is going, maybe he will select Deval Patrick or Jennifer Granholm, governor of Michigan, and a former attorney general of her state, Greenfield said. "Six weeks ago, when asked about a potential Supreme Court nomination, a senior Administration official told reporters that the White House is looking for people with experience in law and in life, people with character and commitments to a community, people who can make hard decisions but still have empathy for the litigants before them," Cohen said. The Obama White House began from almost its first days in office preparing for the possibility of a retirement by thinking about and vetting potential high court nominees. Those efforts only accelerated with Ginsburg's cancer surgery. The timing may have been unexpected, but Souter has long yearned for a life outside Washington. He has never made any secret of his dislike for the capital, once telling acquaintances he had "the world's best job in the world's worst city." When the court finishes its work for the summer, he quickly departs for his beloved state of New Hampshire. When the first President Bush appointed him, Souter was sold as a law-and-order kind of conservative. It wasn't to be, reports CBS News correspondent Wyatt Andrews. "Justice Souter ended up being a big disappointment to the conservatives," said Wendy Long of the Judicial Confirmation Network. "He became very enamored with sort of elitist liberal outcomes." Souter in fact outraged conservatives - and made legal history - with his decisive vote to solidify abortion rights and uphold Roe vs Wade in 1992, Andrews reports. Souter then grew consistently liberal - allowing affirmative action in college admissions, allowing the Guantanamo detainees access to federal courts and voting against the right of D.C. residents to own handguns. "We constantly reexamine what the Constitution requires," Souter once said. Souter is the court's 105th justice, only its sixth bachelor. He works seven days a week through most of the court's October-to-July terms, a pace that he says leaves time for little else. He told an audience this year that he undergoes "an annual intellectual lobotomy" each time the court resumes its sessions. National Public Radio first reported Souter's plans Thursday night.